Wholesale currants sold in containers of 30 pounds. Currants (black Corinthian raisins) are a unique dried vine product that is produced mainly in southern Greece and in smaller quantities in California, South Africa and Australia. Especially in the region around the town of Aeghion is produced the world-known Vostizza currants, a PDO product (Product of Designated Origin). The cultivation of currants in the Greek South is referred in Homerâ€™s Odyssey almost three thousand years ago and by philosopher Aristotle. The currants are produced mostly in high-altitude, mountainous area and are sun-dried without addition of any additive, such as accelerating drying agent or infused sugars. Wholesale Currants, which is fully traceable to the farmer, is then washed by potable water and cleaned in modern food factories. The area of Aeghion has made in recent years several new developments in agriculture, such as the first implication of certified organic agriculture in Greece more than three decades ago. Also the main Agricultural Cooperative of the area has assisted researchers from Greek and several European Universities to participate in collaborative research projects, such as the food quality and safety and nutritional value of the product. 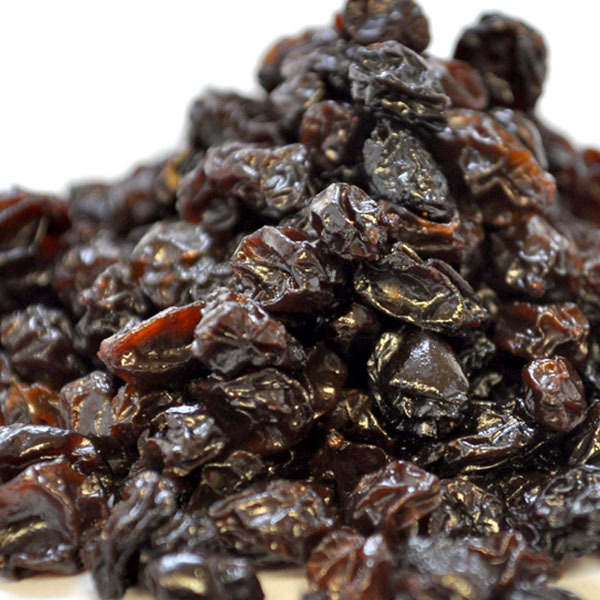 A basic advantage of currants (and several other fruits, such as raisins) is that they are consumed along with their skin. Their skin, being deep blue/black, is full of antioxidants. Also due to their small size, currants have a very high specific surface area (area of skin/mass of product), therefore a higher concentration of antioxidants but also dietetic fiber than several other fruits.Chefs come to us for our wholesale currants when they are making healthy deserts and jams. Currants are used in cakes and muffins. Many Rugelach recipes call for currants. We also supply the makers processing currants into jellies and jams. INGREDIENTS: DRIED ZANTE GRAPES, SUNFLOWER OIL.